Okay, I must admit, I'm getting pretty addicted to iPhone 4 cases. For the past month, I've racked up close to £100 for the different cases and screen protectors that I've purchased for the iPhone 4. And it doesn't help that I've been lurking in different forums, envying some iPhone 4 owner's customization of their iPhone 4s. 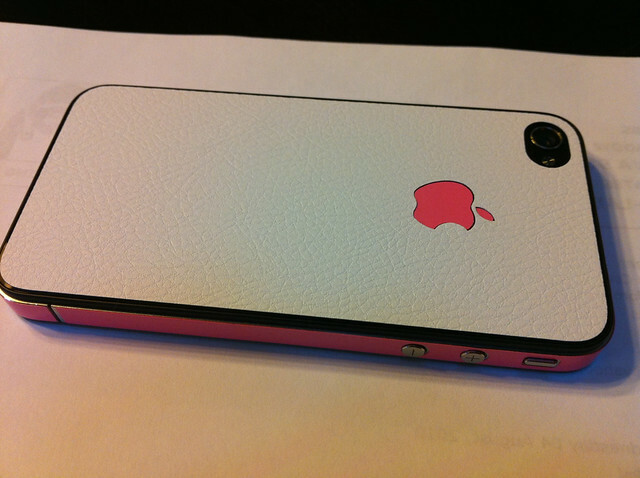 Here are some of the best dressed iPhone 4s that I've seen so far. In broad daylight, this iPhone 4 with a clear bumper seems very ordinary. However, it's when it gets dark that this mobile phone gets interesting. Pretty cool. The clear bumper can be bought off eBay while the glow in the dark side wrap is from iColorwrap Glow wrap. From macrumors. 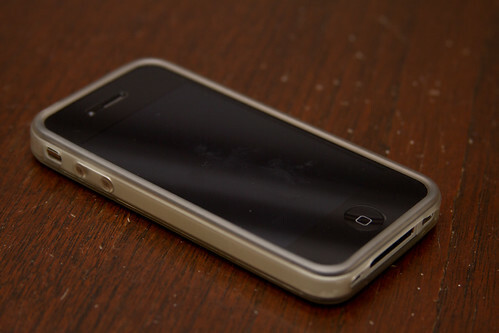 This is another common combination and the different colors and back used can create a really good looking iPhone 4. Bumpers that can be used includes SGP Hybrid Ex, Scoshe BandEdge or Apple's original bumpers. There are a lot of custom back stickers for the iPhone 4 but the ones usually used are SGP's leather skin back or other carbon fibre back decals usually from eBay or other companies. Perhaps the best customization for your iPhone 4. Decals and Skins would not only let you choose solid colors for your iPhone 4 but lets you customize it with different designs as well. If you want to forego the bumper as suggested above, you can replace it with side wraps. Lucky Labs Spectra Wraps gives you different colored side wraps to customize your iPhone 4 for only $9.99. Gelaskins on the other hand offers full customization for your iP4. You can even make your own custom image and they'll print it out for you. So those are just a few of my choices as the best dressed iPhone 4s. I'm thinking of going with the Lucky Labs Spectra Wrap plus the SGP leather skin back. Of course, these skins won't really protect your phone from drops but at least you got a very stylish and nice looking phone. 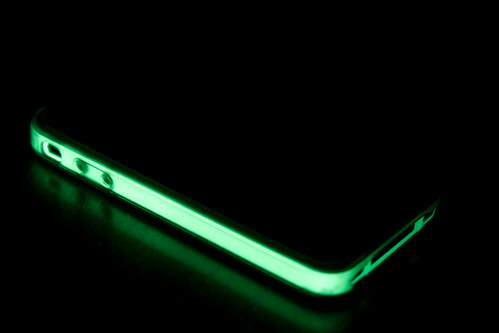 That glow in the dark iphone looks slick! I really like the SGP Skin Guardz. Does anyone know of a local store that sells one? You design the skin yourself using any images you want. This allows you to have a completely custom skin that is unique! Found a discount code for them as well - special20 gives you 20% off any order.